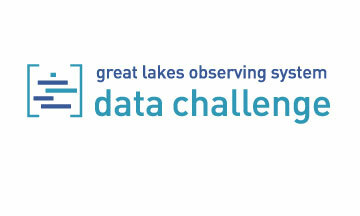 The Great Lakes Observing System wanted to refresh their logo to better reflect the importance of the work they do: making current and historic data accessible to those who need it, from scientists to boaters. Observing the Great Lakes through the lens of changing data is one way that we can protect the world’s largest source of fresh water. As an organization, GLOS has the need to interact with a large variety of partners who contribute or use data. They are one of 11 regional associations of the Integrated Ocean Observing System. GLOS wanted their logo to be distinct from IOSS but to also reflect the importance of their connection. 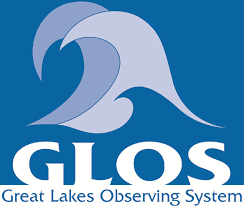 We worked with Great Lakes Observing System to identify some big ideas that should be present in the logo. We wanted to be sure to avoid cliches— and the map of Michigan which is ubiquitous in many logos for Great Lakes organizations. The end result was a crisp logo which evoked the water and changing data. Each of the bars is in proportion to the size of each of the Great Lakes, a detail which might small but looms large in the perception of their audience. The colors align with the visual identity of the IOSS, providing a tangible way to show their connection. “When we received the first draft we were thrilled to see how she had translated our rambling conversations into tight, easily consumed logos. We worked together to make changes to get a final product that staff, and ultimately the board, felt really represented the combination of environment and technology that is unique to our organization. In addition to being a smart visualization, the new logo complemented our parent governmental organizations without being just another version of them.